Do you ever start the day saying, “I want to be more positive today” or “I would like to have more confidence”? Did you ever think you could do both of these things just by improving your posture, or by choosing a positive outlook? Here I would like to take a holistic look at your mind, body, spirit and how each play a role in YOUR success, and the success of those you will inspire. From this ideology of positive choice and social responsibility, the Good Sign Movement was born. 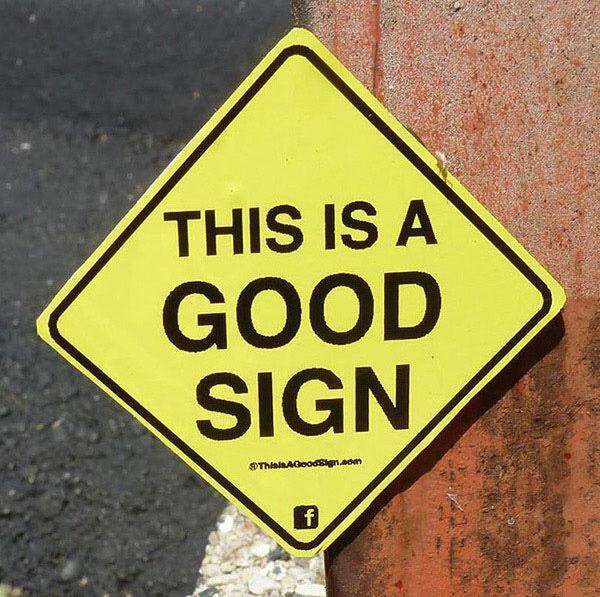 Good Signs is a social movement and brand focused on being positive! Wherever Good Signs reside, a story of enduring passion, hope and spectacle will be told to encourage and empower others; to remind them they are not alone and that the, too, are spectacular. In the day and age of handheld electronics, computers, desk work, and overall more sitting, we find ourselves less upright, as well as emotionally not right. A study conducted by San Francisco State University uncovered a connection between poor, slouching posture and increased likeliness to report feelings of depression and low energy.1 In the study, university students were first interviewed and asked about their levels of depression and energy. They were then instructed to walk down a hallway in a slouched position or to skip. Dr. Peper found that with simple changes to a more upright body posture, as well as playful moves like skipping, could lead to improved mood as well as higher energy levels. Specifically, the study recognizes that the mind-body relationship is absolutely a two-way street in which your emotions affect your posture and body language, while your body language and activity can increase or decrease your feelings of well-being. Those who had reported higher depression scores tended to also report lower energy after preforming a slouched walk. Participants who had reported feelings of depression and sadness reported an increase in their energy levels after the upright skipping activity. In search of better understanding on how a person’s facial expression affects their visual processing (how they perceive their surroundings), a study from the UK looked at how participants would react to other’s facial expressions. Participants were asked to smile, frown or have neutral (blank) facial expressions. They were then introduced to the expressions of others. Those who were smiling processed “neutral” expressions similarly to happy expressions. However, those who were instructed to make neutral or frowning expressions themselves, tended to process the neutral expressions as negative. All living creatures display their power through postures and stance. Think of the proud peacock, or the parading lion, showing their strength and dominance for all to admire. In contrast, we will also display our lack of confidence through our body language. Feelings of self-esteem and high value will exude through your upright stance and proud gaze, while weariness and nerves will be revealed by your timid eyes and cowering presence. CEO Pose: Seated, reclined with arms folded behind head, and legs up. Wonder Woman Pose: Standing stance with feet shoulder-width apart, hands on hips, chest up and out. After two minutes, the participants were interviewed for emotional changes and also physiological differences. The results showed an increased level of confidence after power poses, and even more interestingly a clear difference in the participants’ hormone levels! Testosterone is a hormone in men and women that can have indication of strength and confidence. High-power posers had an 8 percent INCREASE in testosterone levels, while low-power posers had a 10 percent DECREASE in testosterone levels. Meanwhile, cortisol (the hormone related to stress) had an inverse relationship to the poses. Low-power posers had a 15 percent INCREASE in their cortisol levels, while high-power posers were measured as having a 25 percent DECREASE in their stress hormone levels. Dr. Dragomir Mijic states that bad posture can be the result of rounding and internal rotation of the shoulders. This further exacerbates the imbalance between stronger internal rotator muscles and weaker external rotator muscles, leading to neck/shoulder pain, impingement of motion and poor posture. Here are five moves we suggest you can do NOW to improve your posture and positivity. In a strong stance, look upward, reach for the cable rope and squeeze the rear deltoids and bring your scapula together as you pull back and hold for one to two counts. You may also use resistance bands attached to the top of a doorway at home. Seated with chest up and outward, extend your arms forward to hold the handles of the machine, pull the machine open using your rear deltoid and hold for one to two counts. You may also use resistance bands wrapped around a pole or other anchor point, while sitting in a chair at home. While lying on your back, fully extend your arms and legs for a purposeful stretch, proceed to pulling yourself into a fetal position crunch. Hold one to two counts at full stretch and one to two counts at contraction. While lying on your stomach, place palms comfortably under your shoulders and press upward to the full cobra with eyes up, chest forward and shoulders down. Take nice slow deep breaths. If you have limited mobility in your back, try a baby cobra by just partially extending and keeping palms and elbows on floor. Thank you to Powerhouse Gym International for all of your ongoing support and commitment to holistic health and fitness. Photos were taken at the Powerhouse Gym in Madison Heights, Michigan. Thank you to The Good Sign Ambassadors for all they do around the world, and for their inclusive call to action. Look to become a Good Sign Ambassador yourself. 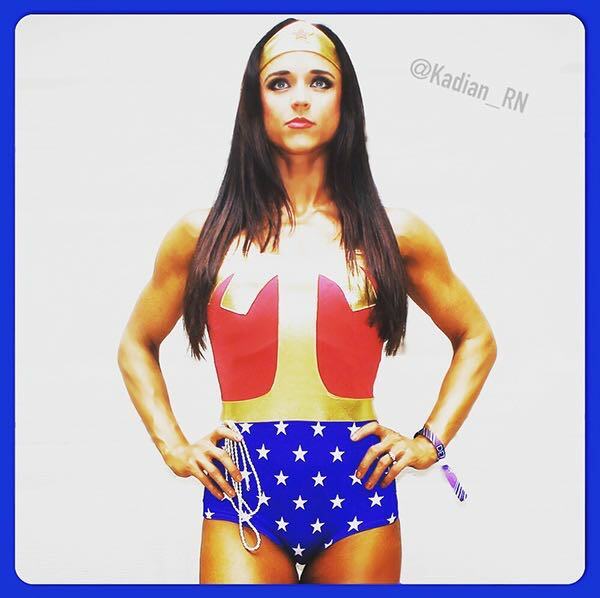 Kadian is a dual-state Registered Nurse, and licensed Public Health Nurse. Just like in a health care institution, she approaches her lifestyle with evidence based research and loves holistically tying it into her daily life. Leading a bedside career from public health to intensive care, she has firsthand insight as to how our modern culture approaches health and wellbeing. After reshaping her own life she has made it her mission to inspire and support others in their quest for knowledge and achieving their goals. Kadian loves your feedback, comments, and stories!